1. You do not need a resurrection-rune/prevent item/equipment drop! Thats right! You don't need any of those items. Resurrection-runes are in game just for the convenience as they allow you to respawn with full health. Therefore they are useful in pvp-combat but not a requirement. The dropping of items when you die is fully disabled, yet you might lose some of gold as a little reward for the player killing you. 2. There are custom merchants in the Auction House to help you get started. 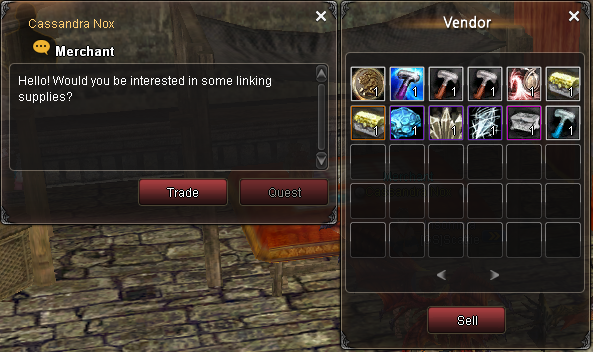 There are a couple of merchants placed in the Auction House to help you get started linking/enchanting your equipment. So have a look at their goods before asking where to get basic items like linking hammers. 3. Use battle modes to go to different pvp zones. Here at Eternia Games Shaiya we have made custom battle modes that allow you to go to different level pvp zones (these can be accessed from your inventory screen). Simply select the battle mode you want to and click on the change button to confirm. Take note that this function is disabled in pvp-maps and certain other zones. For your convenience we also added an extra max level mode so you can switch between farming/pvp setups. These battle modes will have different stat-points and skill setups so they also allow you to have different builds in one toon. 4. All bosses have to be called for 3x in trade or by using the custom /call command. In order to give our newest players a chance to get the most rare boss drops we added the requirement to call your faction before starting to fight them. This is part of the rules and can be found on our main website. Calling can be done by using our custom /call command (only usable by the raid lead and sub by typing /call in normal chat). All bosses are Immune untill they are called 3x. 5. No need for a non-effects client when you are running older hardware. Running on some older hardware? No worries, with our custom player commands we help you a little go get a better frame rate. There are 5 commands that can be issued in normal chat (just like the call command mentioned above). 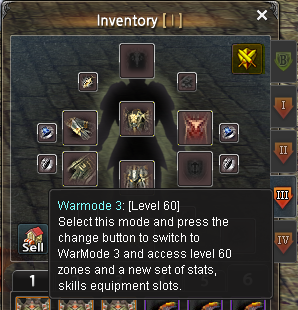 You can chose out of the following; pets, wings, effects, guildtags, all. For example typing /all off would visually remove all those elements allowing your game to run slightly smoother as it will be less taxing on your hardware. We recently made this feature also available in the graphics options menu for more ease of use! Yes,yes i know i said 5 tips but i did not want to keep this from you; Aside from the potions available at the liquid medicine merchants (wich heal 50%), you can get Arcane and Etain potions from any core lootboxes! I hope these 5 (+1) tips helped you to get well on your way. If you need a full guide on how to get started take a look here. Last edited by Scattie; 04-03-2019 at 05:44 PM.